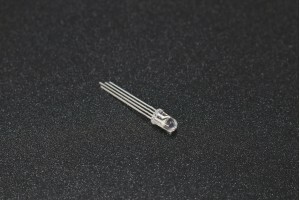 The A1302 is a continuous-time, ratio metric, linear Hall-effect sensors. It is optimized to accurately provide a voltage output that is proportional to an applied magnetic field. This device has a quiescent output voltage that is 50% of the supply voltage. The Hall-effect integrated circuit included in each device includes a Hall sensing element, a linear amplifier, and a CMOS Class A output structure. Integrating the Hall sensing element and the amplifier on a single chip minimizes many of the problems normally associated with low voltage level analogue signals. High precision in output levels is obtained by internal gain and offset trim adjustments made at end-of-line during the manufacturing process.